Exel Brand. 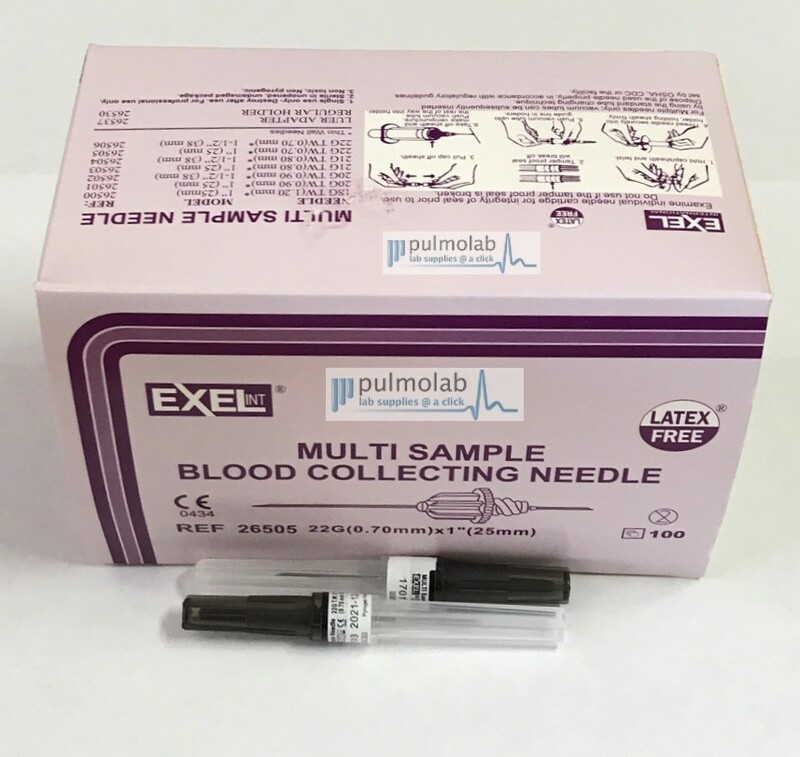 Sterile, disposable, double-ended needles for multi-sample blood collection. Color coded. Sizes 22x1 (Black). 100/bx Pulmolab recommends using Portex needle holders to be compliant with OSHA directives. Please Note: BLOOD COLLECTION NEEDLES WILL SHIP TO HEALTHCARE, TRAINING FACILITIES OR HEALTHCARE PROFESSIONALS ONLY.